My last blog Starchitect Skyline was part of a series of blogs about Manhattan real estate in history/today. I wrote about the brand name glass tower apartment buildings of the new millennium that are changing the NYC skyline. This blog is about landmark buildings from another era and other uses that have been transformed or are being converted to luxury apartments. Old World Details - Meets Modern Amenities. Famous hotels, landmark banks, insurance company headquarters, factories, hospitals and even a former Police headquarters have been transformed into luxury apartments that offer unique spaces. This trend in real estate is not only taking place in Manhattan but in cities throughout the country. Throughout Manhattan landmark buildings are being converted to condos. Just as the Starchitect branded buildings are a great marketing tool for developers so are famous Landmark buildings. 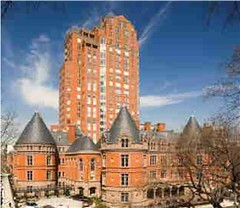 Here is a sampling of some Landmark Living in Manhattan. Currently selling loft style condos priced from $2 to $8 million. Edwardian Baroque style converted to 55 coop apartments in 1987. Once the tallest building in the world, converted to 142 condo units. 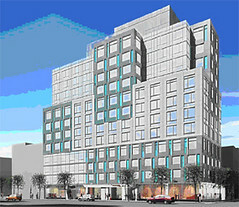 Pasta factory on 9th Ave at 39th St. is being converted to 96 condos. Neo- renaissance triangular shaped building converted to luxury apartments. 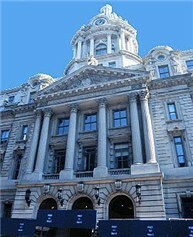 1887 Cancer Hospital converted to luxury condos. Park West Church 86th & Amsterdam Ave.
Tax exempt landmark churches are looking to real estate developers for cash. The Park West church at 86th and Amsterdam has plans to preserve it's main sanctuary and tower while erecting a 21 story apartment building. Many preservationist and neighbors are concerned about these church's plans to develop their properties including development plans from the Theological Seminary in Chelsea. Everyone wants to be in Real Estate. 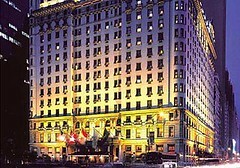 Hi Mitchell, lots of great buildings here. I've always been a fan of neo-renaissance, and it always intrigues me that many times they are the design of choice for corners, which to me adds to their appeal. That one and the police headquarters intrigue me the most; We have lofts here in Northeast Ohio in old warehouses with intact elevators that get raised as floating interior space for offices or dens once they become condos - I'm thinking you could do something really cool with police bars! I'm not joking! And do the churches really need all that real estate money? Hi Carole, Thanks for the comments. I like those circular rooms too. The new restored building at 455 CPW was a hospital and the reason it has no corners is because back then corners were thought to breed germs. I left out some buildings, the former YMCA building in Chelsea is now lofts, the elevator still says pool, locker room. My favorite NY building is the Chrysler Building I love art deco. I'm starting to really like the new all glass buildings too. I'm not afraid of heights but the first few times I went in them I was afraid to go near the floor to ceiling windows. I don't know if the churches need all that money but they certainly want it. I guess it takes $50 million to feed the homeless. Great Pics of NYC- I'm blogging about the city this week too! Mitchell my absolute favorite is Art Deco, we are kindred spirits in that regard. My fantasy is to one day live in what I call a non-conforming use building (maybe not the official term depending on where it's located), like an old fire station. That is if I am not living in a penthouse overlooking the Statue of Liberty! Mitchell - great post! I love the pictures you included, and the links to your other posts. I just really enjoy seeing what's going on in other areas with regard to new uses for really interesting buildings. Thanks for sharing! Maureen, Thanks I'll look for it. Carole, It amazes me that during the Depression they built the greatest buildings. Everyone was poor yet they had maids rooms and formal dining rooms. Actually many of the art deco buildings were started during the roaring 20's. I think the 20's must have been really glamorous. Too bad I didn't know you last year, I had the perfect apartment for you. Statue of Liberty views from every room. Ann, Thanks, I think a picture is worth a thousand words. I think this is a real estate trend all over the country. I was just reading about The Sears Tower in Minneapolis and The San Francisco Chronicle becoming apartment buildings. Mitchell, perfect is right. I can see why it is no longer available. Breathtaking views. The only better view would be the one the gentleman has who is the Port Authority caretaker at Liberty Island. When all the tourists go home, he has the place all to himself. Not too bad! Thanks for taking me back down memory lane. Whatever happen to the Woolworth building? Also known once as one of the tallest building? Are they still working out of it? 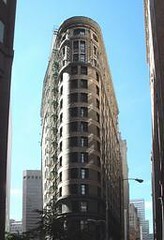 The Met Life Tower was built in 1909. It was the tallest building for only four years. The Woolworth building became the tallest building in the world from 1913 until the construction of 40 Wall Street (and, shortly thereafter, the Chrysler Building) in 1930. Then came the Empire State Building a year later. Woolworth no longer owns the building. It is still being used as an office building. 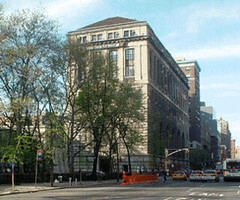 NYU occupies a portion of the building. 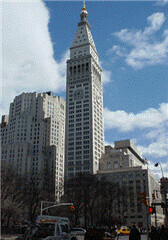 The Pam Am building is now The Met Life building also. Mitchell, thanks for the history and architectural lesson. The Salt Lake skyline has nowhere near the history and diversity of architecture as Manhattan. Mitchell... very late to the party. I have always liked architecture. I actually went to college for Landscape Architecture and look now... mortgages of 14 years. I even went to Paris and Italy one year.... some amazing stuff out there. In regards to your post. Some interesting information. I would love to have a place inside a historical site and such. But so expensive. And it amazes me how expensive that they are and that they are able to fill many of these buildings up....especially for those prices... wow... nice work.